Yes, I know this is a piece of rank commercialism. But it’s for a good cause. 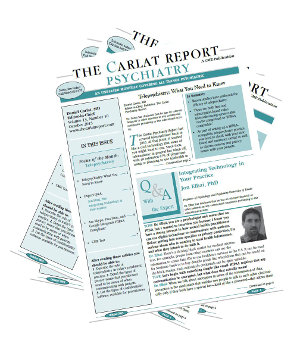 I plan to launch a new CME newsletter called The Carlat Medical Report. 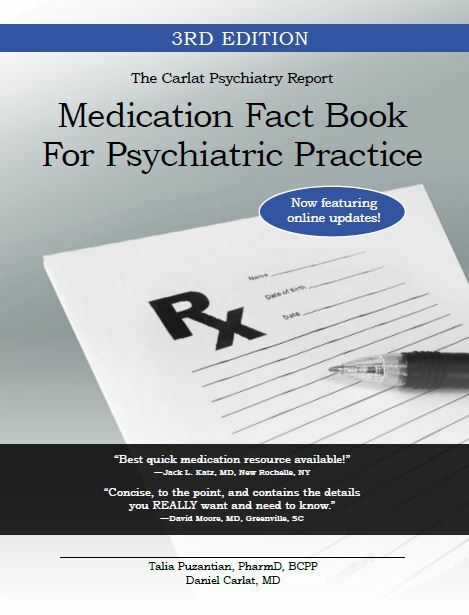 It will be similar in format to my two existing newsletters (The Carlat Psychiatry Report and The Carlat Child Psychiatry Report), but it will cover topics in general medicine. Think of it as The Medical Letter with an attitude. I’ve been casting about for an editor-in-chief through the usual channels of contacting friends and colleagues but I've had no luck so far, so I thought I’d post the job description here. I plan to publish the newsletter monthly or so, depending on the energy of the editor. 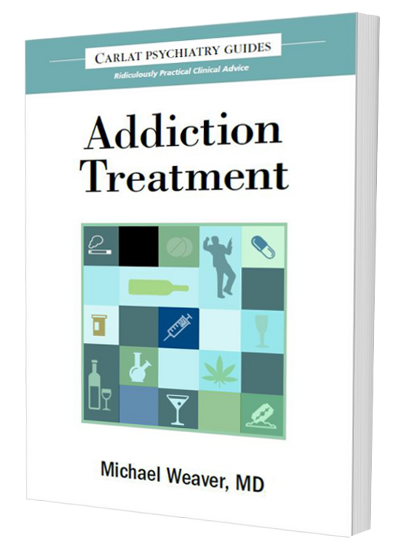 It will be available in both print and online versions. My company, Clearview Publishing, is ACCME accredited, so readers of the newsletter can get plenty of AMA PRA Category 1 credit. There will, of course, be no pharmaceutical industry funding of any sort, directly or indirectly—no sponsorship, no ads, no inserts. Furthermore neither the editor nor any of the writers can have any financial relationships with pharma. A word about my no pharma policy. I am philosophically and politically opposed to industry sponsorship of medical education (no duh! ), but I am not opposed to industry sponsorship of clinical research. In fact, I value the opinions and expertise of my colleagues who work with industry, either as researchers or as research consultants. In The Carlat Psychiatry Report I sometimes interview experts with hefty industry disclosures. I rationalize it because I feel that in an interview format I have more control over the content and can steer the conversation in a non-promotional direction. This allows readers to reap the benefit of industry know-how without being subject to the subtle (or not so subtle) commercial biases that sometimes appear in the articles and talks of academics with industry ties. Anyway, to get back to The Carlat Medical Report, below is the formal job description along with compensation. At $1000 per month, you will not get rich being the editor of this newsletter (it will take a few hours a week of your time). But you’ll get your name out there, you will meet a lot of interesting people, and you’ll be part of what is clearly a growing trend in medical education—great practical CME without the industry hype. If you’re interested, email me directly at drcarlat@comcast.net. The Carlat Medical Report will be published monthly, and each issue will focus on a specific therapeutic area in medicine. There will be one or two in depth articles, one interview with a national expert on that month's topic, and 3 or 4 short "research updates" summarizing the most important articles (on any medical topic) published during the prior month. The writing will be informal, mirroring the way a doctor would discuss recommendations verbally with another doctor. 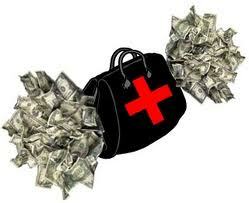 Problems with excessive pharmaceutical company influence in medical practice will be discussed explicitly when relevant. --Will be the identified "face" of the newsletter--"Mary Smith, MD, Editor-in-Chief" would be prominently displayed below the masthead and the editor's photo and email contact would be on the home page of the website. Reader and press inquiries would go directly to editor. --In conjunction with publisher, will put together a stellar, non-industry affiliated editorial board for the newsletter. --Estimated time commitment required: about one day per week.